By Mike and Louise Carey, illustrated by Aaron Alexovich. Published in 2007 by Minx. Goodreads Synopsis: After her mom brings home an annoying boyfriend, Tasha’s dysfunctional family is headed for a complete mental meltdown. 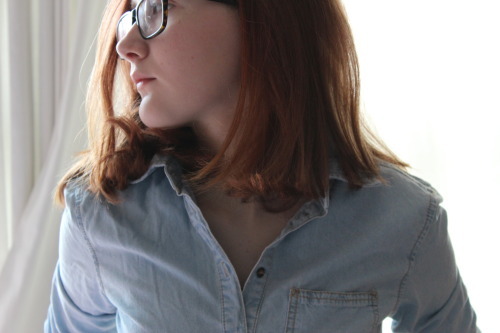 But Tashas blog is her ultimate weapon–and shes not afraid to use it. Mike Carey (“LUCIFER, Hellblazer”) teams with his teenage daughter Louise for this tale of teen angst. My Review: At the talk with comics writer Mike Carey I went to a few weeks ago, this book was briefly talked about. There were lots of graphic novels I was excited to read after hearing about them at the event, but this one stood out the most for me, as Carey wrote it with his fifteen year old daughter! I was in the library earlier this week, not actually looking for this book, but as soon as I saw it I knew I had to borrow and read it. I’m so glad I found it. I really enjoyed it! Confessions of a Blabbermouth is centered around Tasha, a teenage girl who writes about her crazy life on her blog, Blabbermouth. Her mum’s prone to bringing home lots of boyfriends, and when her latest one turns up, so does his daughter. Tasha instantly grows to hate Chloe- but on an unpredictable journey she discovers something about her. I really liked the story. It’s funny at points, pretty emotional at others. It was pretty crazy and I found some parts a bit strange, but it’s a great contemporary plot. While some bits are pretty wild, it’s a story I think lots of people will relate to, with the family drama and the stereotypical school bullies. The art was really great I liked the style. It’s really unique, and it suited the story. I really wanted to read some more comics illustrated by Alexovich now! 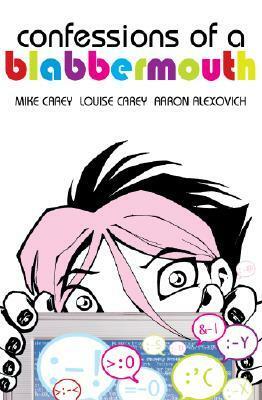 Overall, Confessions of a Blabbermouth was a fun, quirky read. I really enjoyed the story. I think even people who aren’t fans of comics will really enjoy it. The characters are relatable and three dimensional and the plot’s a crazy, dramatic ride. And, obviously, the art is really eye catching. I loved reading it! I’m hoping to look out for more books published by Minx in the future. I borrowed a copy of Confessions of a Blabbermouth from my local library. This entry was posted in Uncategorized and tagged comic, contemporary, drama, family, graphic novel, minx, school on May 22, 2014 by keithbwalters.